So when did a two-hour show on Revolution Radio, “False Flags (9/11, Sandy Hook and the Boston bombing)” on 30 May 2014, as the third segment, I included the second 30-minutes of Sofia’s interview with Paul Preston, which is archived on “The Real Deal” and can be heard here. S – Welcome back everyone to the Speed of Light on the Pure Momentum Network. This is Sofia Smallstorm and we’re listening to a very interesting discussion – Paul Preston, school principal, school safety consultant, teacher, coach, and superintendent. He has been in the California system for 41 years. He is now retired. So Paul, let’s continue. Can we get a little bit into Sandy Hook now and what set off your antenna about it? P – Well, you know I’ve been involved in many many situations at schools that have been, you know, emergency type situations and was involved even to some degree with the Columbine situation in that we had an individual who as trying to blow up the school, our school, at the time. In a similar fashion to what was a predicted bomb threat that occurred at Columbine thee days before the Columbine shooting, and that’s how we kind of got in touch with the Columbine people. They got in touch with us because it turned out to be a similar neo-Nazi group that was related to the Trench Coat Mafia, of all people. And so learning and watching ad seeing all these incidences play out, all these school shootings, I took an enormous interest in because we were doing a study trying to determine because the neo-Nazis we had been working with in our school along the same time of the Columbine incident were telling us that there was going to be some big event take place. And so our staff, myself, we all wanted to sit down and figure where this was all going to and we studied a lot of the Nazi websites and so on, and we figured out that yes, something big was going to happen. Well then Columbine happened. So we watched with a lot of intensity and under with my own circumstances and also with watching the videos and replays of the other active shooter situations, I became sort of a specialist in that and applied it to my own active-shooter training that I was doing and conducting with my own people. S – Right. And now can we get in to Sandy Hook? P – Well yes. Of all the hundreds of hours that I spent watching these scenarios and investigating and reporting on them on my radio show, the first thing I noticed when I heard about Sandy Hook when I turned on the TV like everybody else …now I have always told everybody when you’re seeing these things play out in real time, the best news reporting is what’s happening in real time – that day of, you know, the moments that are around the incident. But document for yourself what’s going on because you’ll never see it again. Now this is where it really falls apart with Sandy Hook for me. saw…I saw no evidence of a real plan of student evacuation taking place. And that stuck to my head like crazy when I was in the moments watching this whole thing play out in real time. S – That’s very interesting. No evidence of a real plan. Because only someone…I mean everybody had their own response to it. Some of us were already clued in from previous kinds of situations. All this has got to be not what they’re telling us it is. But you come from the industry, the business, and you felt that there is… I would say you knew … It probably was not even a feeling. It was like, you know, set in stone in your head. Where’s the plan? I don’t see the plan playing itself out. Right? P – I saw same of your evacuation centers and I saw some of your colored tarps on the ground, the colored taps and so on, but even that pretty odd because normally if you have the tarps out there…in every active shooter situation you have ever see, there’s somebody on the tarp or there’s been some help that’s been given to somebody when somebody has been wounded, but none of that was even evident. And I don’t see anybody trying to rush to anybody’s help at all in a mass casualty situation. See, when you don’t see that…I mean…I’ll go back to the example that I have before about the 13 who overdosed. We had people everywhere, and we had people everywhere until everybody was safe, which was 35, 40 minutes, almost an hour. And that was never happening there at Sandy Hook. You didn’t see the mass of people doing that. S – Yes, it’s more like the press filled in for that missing element. The press sounded more concerned and panicked on TV as they reported but the actual participants were not so …And got, you know, long after the fact we got the supposed 911 calls, we got various people giving their versions of it on television as they got interviewed. But we didn’t see it on the ground. And so how long did you watch it for? Over a period of days, weeks? And what were your thoughts? And that’s when I started thinking about the …the actors. You can actually rent these actors out. In fact that put these things up for training all the time. S – And when did you start looking it up on the Internet because I think people started posting immediately. You know, they were making YouTubes. The community began to express online. So when did you start looking into all of that? S – So do you want to tell us a little but about that or do you want to stick with the Sandy Hook material? I’ll let you decide. P – Well, let’s go ahead with the Sandy Hook material and then we can jump into that. S – OK, so we’re past Robbie Parker now, and what about the funerals? You must have known then that …Did you have any concept about victims or no victims, et cetera? P – Well, that whole thing was pretty shaky. What was really starting to filter in in the system and was just confirming what I was already being told about these charity sites that had been developed. By the way, they were put up the day before the shooting. And I had gotten some screen shots, and I had confirmed with my sources. Some of them were thinking that it was a very sloppy operation actually. But there were reassurances to me that there really were no victims and that everything’s being staged. And of course the funerals to me…you go and look at the whole funeral process. It looked like they were all staged, from the Robbie Parker one in Utah, or the Sarah Parker one with the Parker family. And then I started getting information from people that actually had attended that funeral who lived in Utah and said that was something very funny about it. S – Now I would like to ask you whether your sense is that these are real families even, or are they patched together? P – Well, you know, that’s a good question because, you know, the thing that rolls around in my head, you know, the actors type of thing, you know. You know because you can put families together and these acting programs will do that under certain training scenarios. And so, it’s a good question. It really is a fair question to ask whether or not they were real families. S – And then of course because they continue to speak and organize and be called upon to comment, they have to be formed into these family groupings over time. And remain grouped like that whether they are truly married or not. P – It’ different to say, you know, when you saw them together whether they are natural families or not. That’s…I’m suspicious of that. And like I say, I’m suspicious because I know that you can put these families together, you know, with some of these acting companies out there. And that just kind of blends in with what I was already being suspicious about. And so, there’s a lot of things that would go into the details of examining this. And I’ve see a lot of the pictures and so on, and some of the pictures don’t match up, especially the one of the Parkers in the White House. And it looks like to me that’s Sarah Parker sitting there that’s, you know, supposed to be a victim. S – Emily or Madeline …those are the two order sisters, and a lot of people felt that that was Emily Parker leaning on Obama. S – Have you seen the Super Bowl video? P – Yes, I have seen that. S – Well, there is a girl who looks a lot like an older Emily Parker in that video. So if that was Emily at the White House, or actually I think…I don’t know if it was at the White House…but with Obama, she couldn’t be six in one picture and then just a month or two later, twelve or thirteen. S – That’s where we have to make a decision. But what did you think of all the photographs of the children? Did you notice anything – the portraits that we were shown that these were the victims? Did you notice anything about those portraits? P – No, other than some of the malformations of different parts of their bodies – seemed to be a pretty obvious thing. The whole thing …when you take a look at the totality of this, in my opinion, it’s very sloppily done. S – Why would it have been sloppily done though? P – Well, you know, when …and again, it’s kind of like sometimes there’s order that comes out of chaos. And when you have these chaotic situations, people want to put things back together as best they possibly can to feel more comfortable or to recover from it. And I didn’t see any of that. I don’t know if that makes any sense to anybody. People don’t want to have that chaos. They want to heal. They want to come back together. They want to solve a problem so that they can move forward. And that’s part of what happens when you do these drills is that you take a day or so and you talk about what happened so that you can improve upon and make it better. People do that naturally even when there’s chaos and there’s an emergency situation because they want to seek normalcy again. I didn’t see the same kind of emotions, if you will, or the same kind of communications between parents, kids, that you would normally see in these situations. It just didn’t look…it looked phony to me. S – So you mean the community itself, they did not try to repair in the organic way…? P – I would say that is true, from the parents to the kids, to the entire community. S – What do you think of this privacy issue that has been bandied about by the authorities, that all the privacy needs to be respected, and you can’t reveal this or that…? P – That to me just adds more fuel to the fire because that’s not what you do in the normal situation of an incident command system. You get the facts out because you know oftentimes when you get the facts out, you’re also looking for criminal behavior, and the more information that you can get out that that’s way, the better. And I’m certainly not buying the notion that the parents weren’t allowed to see the kids. P – I just…that to me…that should be a red flag to anybody who has looked in to Sandy Hook. The parents weren’t allowed to do that. What’s up with that? S – And what did you think of the coroner’s behavior at his press conference? So there’s a lot of confusion, you know, about that coroner, his report, his reporting out. Nothing seems very clear and concise to me. And you know I would argue that, you know, as I looked at him and watched what was going on, he seemed to be just answering question on the fly without a lot of knowledge behind the questions. S – And this suggested to you that this was a sloppily created event? S – And would you say that that was because of the portent of the whole thing that they…there were people involved in this…let’s say Dr. Carver, the coroner, who had some idea, if it was a scripted event, it was going to go big, and really big? So do you think that the sloppiness of it was because in being organized, it’s very difficult to juggle how people are going to perform given that they know how big this thing could get? P – Well, you know, what happens is that you…if you’re going to do these things and carry it through with the lie, everybody’s got to be telling the same lie at the same time all the time. And I think with my judgments about the parents and the kids, and seeing them lie, I was seeing a big lie being perpetrated right in front of me because nothing seemed to be consistent. And like you said, which I thought was interesting, is that oftentimes the media would fill in a lot of the blanks for you. A classic example of the blanks comes up when you talk about where are the kids that are evacuating the school. There were helicopters that were circling overhead. They certainly would have been able to show, you know, hundreds of kids exiting the school. That was never shown. But you did see a picture out in a parking lot, which by the way if you take a long look at this picture of all these kids being led out, about 15 or 20 kids being led out by teachers and adults from this parking lot, if you take a look at the parking lot from the aerial views, you can see that there are different cars in the parking lot in that area. So obviously that was done during some sort of drill. That’s my opinion. And it didn’t match with what was going on at the time. So nothing is matching in real time for me. That’s just another thing. But where are the kids? Where were the kids? They weren’t present. They just weren’t there. So that’s the kind of stuff that wasn’t worked out and, you know, they were doing things on the fly. That’s why I say…I would say it was very amateur, very amateurish as to what was going on. You are familiar with the character, Gene Rosen? P – Gene Rosen – which one was …? S – Gene Rosen was the man who was very close to the school and he took the kids in and offered them juice and cookies, and he gave many different…he recounted his rescuing or fielding these kids differently in many interviews. So can you comment on that? P – I can comment on this because this points to this proves my point that these kids …did they get off a bus? Where did they go? OK, I think that one of the stories was that the kids got off the bus and they made their way to his house, and there was all this panic or whatever was going on. OK, there’s something really wrong with that picture to begin with. First of all, when you’re doing these scenarios and this school had to have been trained for this because FEMA requires these trainings, and if you’re getting safety monies from the federal government, which every school does, they have to follow the proper protocols and that’s the proper release of the students to their parents. S – Right. He said, that children showed up on his lawn and they were with a bus driver, in one story. In another story, they were just there by themselves and they were repeating babbling that there teacher was dead. So what…would the protocol be that the children…the children, according to the story, left the school on their own. P – Well, that to me, that’s very suspicious in and of itself. S – Right, I mean the cops had not gotten there in the first five minutes. Apparently some of them could still hear shooting going on, and how did the kids get out and just run down the road, you know? P – All that seems to be …and again, I want to go into the thing about the incident command system, evacuation, walk-outs and so on. None of that fits that protocol. None of it. The story of Gene Rosen or any of that stuff — None of that fits. That to me is just more evidence that there were no students other than the actor students that were there. S – Then what was the purpose of having the Gene Rosen player? P – A diversion from the other realities going on and to add more hype about the story. It’s the same thing about the guy that was chased through the woods. You know, they had a couple of guys that were chased through the woods. What were they all about? And there were no answers about any of that, about where they came from and even my people couldn’t come up with an answer about that. Some of my people say it was very sloppily done. S – These are your insider people, right? S – Now did you see any of the videos of the people circling through the firehouse? S – And did that strike you …what did you think of that? P – Well, I had already come to my conclusion that this was a drill, and again, being very suspicious of the Obama administration, Diane Feinstein, Second Amendment issues, using Agenda 21 in particular, I had not see that for quite some time afterwards, maybe a couple of weeks after. We were engaged in our own things that we were doing in terms of investigations and stuff like that. We’re pretty intense about what we’re doing here on Agenda 21 Radio, and we have some very highly placed sources of information that comes to us and which we’re very grateful for. I, for one reason or another, hadn’t seen that video maybe two or three weeks until after the incident. There’s more evidence right there because what in the world were all those people doing there to begin with? You see, if you’re doing an incident command situation, there’s a place for those people and those people can be moved on rather than seeing that circus that was going on, which is what that was. That was all staged. S – Right. And these were far too many adults, no children whatsoever, no panic. And to me the people that were there-–they weren’t dressed for December. So some people have suggested that that particular drill, the circling in and out of the firehouse, took place a lot earlier, and it matches the time frame and the clothing of the children evacuated from the school. They did not have their coats. And I was going to ask you, is it normal when there’s an emergency for the teacher to evacuate the children without letting them get their coats, or would they take the extra time and say ‘children go put your goats on as fast as you can.’ How does that work? P – Well no. If there’s a signal to get them out of the building, and there’s always a signal of some sort to get them out of the building safely, they go directly out. Period. End of subject. And if they can get their coat, that’s great, but the safety thing is to get them away from where there potentially is a threat and that would be the key thing. And again, you pointed to something else and I brought this up earlier about the drill that we used to run and people would always, you know, screw up the drill because they would knock on the door in an active shooter situation and the teacher would open the door. Well, you know, how does that all play out? I was looking at things pretty much in real time within minutes of news being broadcast as it was happening from a helicopter. Now I am a real-time kind of guy. So I’m looking at maybe 15 minutes into the shooter, maybe 20 minutes into the shooter situation. I’m looking at clear video of the campus and so on. I’m not seeing anything happening. Where are the kids? The kids aren’t there. P – And they should be released or what’s going on with them? S – And there were some people said that they were in closets for up to four hours. That doesn’t make any sense either. P – That does not many any sense to me because what happens, and again it goes back to the police, and back to Columbine, they will go in and check every nook and cranny. And quite frankly, I know how that’s done. We used to do that. We always used to look and check to see where people were. S – Right. And you would not miss large adults hiding in small closets. And the idea of Katelyn Boyd and some of these teachers bundling up all their kids into the bathroom and having a few sit on the toilet…I even heard the toilet roll holder, my God, that’s pretty tough to do even for a six year old. But what do you think of that? That doesn’t make sense to me. P – Well, you know, we tell people in an active shooter situation to seek…to hide or …if there is a shooter there to take the challenge. We used to do these things where we had these dummy books and we’d bring in an active shooter as the stage person and throw books at them, you know, because that really throws them off. You’re taught those kinds of little techniques to throw the active shooter off. But I can imagine some people getting holed up in a closet or something like that if they haven’t been able to lock the door. And that’s one of the things we tell our people all of the time. Lock the door. And we made sure in all schools, and all schools should have the, the doors should have the inside key on them, you know, so you can use an inside key on them also as we could on the outside. S – So we have a couple of minutes left at this first hour. Do you have anything to say about Adam Lanza – fiction, non-fiction, real? P – Well, just on the surface of it, and again I would throw out I’m highly specialized trained in drugs and alcohol recognition, obviously looks like he has some meds onboard just by the look. But you know if you couch that along the same lines that that this may be a fictional event, that he’s a fictional character, which fits his description of what I see there. And of course if you’re doing a fictionalized event like this, you want to have the most crazed individual that you can have looking at you through the picture there, and that’s exactly what you have. That’s my speculation. I think that’s what they wanted. That’s what they did. And he has a history and what is the history? We’re not real clear on the history. You know, first of all, they found out that he’s got his brother’s driver’s license. Then there’s some confusion. And you know it one of these kind of scenarios that just didn’t quite fit. And as a school person that to me was one of the big pieces of evidence. Why does he have his brother’s license? And then they made contact his brother that I guess was in Jersey some place, wherever he was, and there was an investigation. That all seemed to be tracking with me as a distraction about what was really happening at the school. 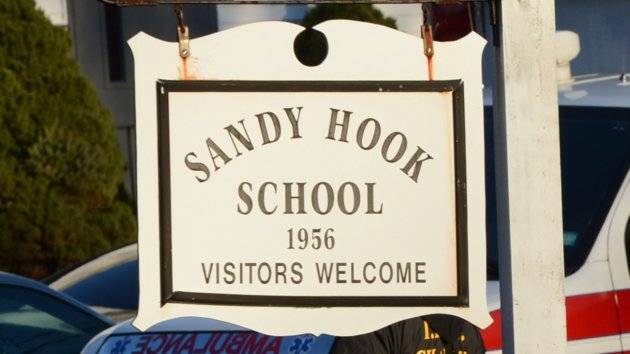 See, the more they under this situation… this is just my speculation – the more they could distract from the actual Sandy Hook school site itself and stage things away from there, the more they could sell the story of Sandy Hook on the whole. S – That’s a very very good point, Paul. Excellent. And we should add that the mug shot that they gave us of Adam Lanza was very painterly. It wasn’t even a photo, and it did have that, you know, ghoulish expression on it to make us think this is a real lunatic. But we are now at the end of our first hour and I really really thank you, Paul Preston, for being with us. And we will take up a second hour discussion in the Members Section. So this is Sofia Smallstorm thanking everyone for listening to this first hour and please do come to PureMomemtum.net and join us for the second hour in the Members Section with Paul Preston, 41 years in the public schools and someone who has been through a lot of staging of drills and has a lot of drill understanding and experience. Contributed by Jim Fetzer, Sofia Smallstorm, and Paul Preston of Veterans Today.